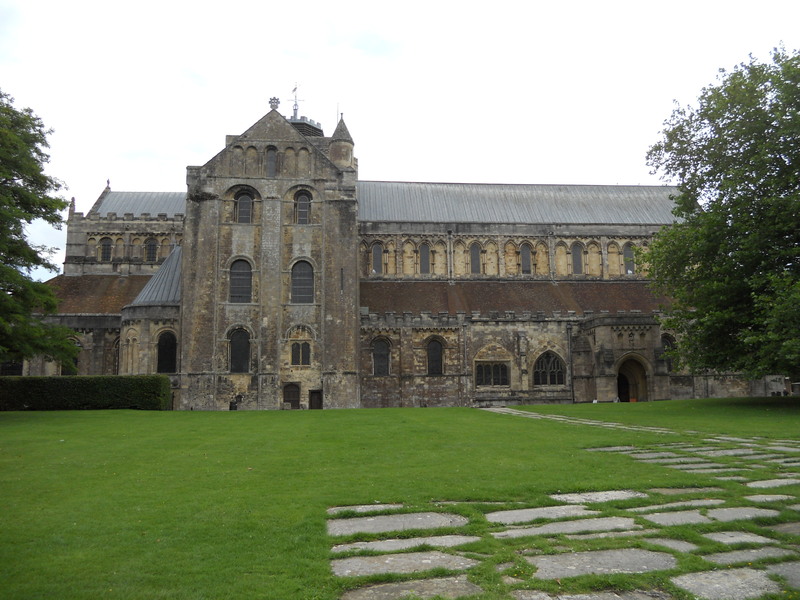 Romsey Abbey is a church I have visited before but not for some time. It gets a lot of visitors, and deservedly so. A lot of effort has gone into welcoming people here. There are robed stewards who know about the church and welcome people with a friendly smile. I was handed a good leaflet with a trail around the Abbey. There is a good gift and book stall with a good selection of things for sale. 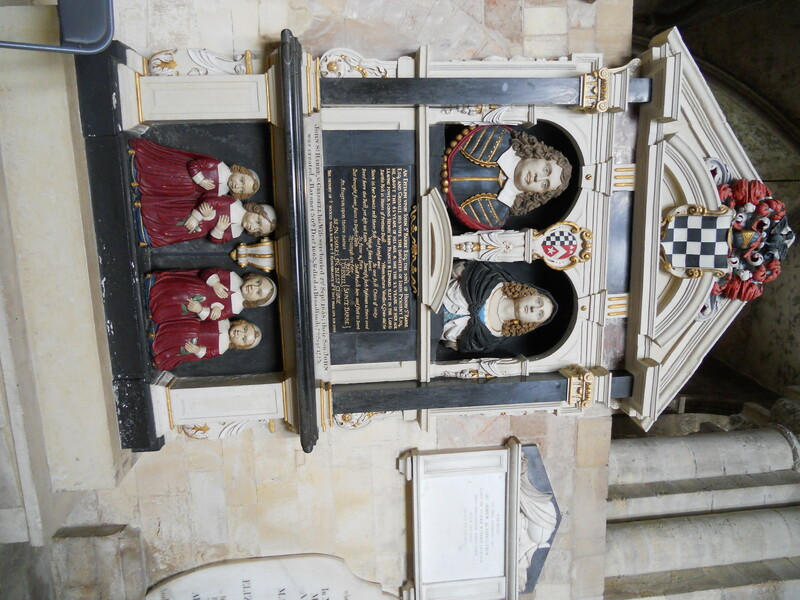 This is a stunning church, dedicated to Saints Mary and Ethelflaeda, and there is lots of things to see here. There is a children’s area and some children’s trails which are well thought out. It is hard to do justice to a place like this in a few words but I was taken with a nice memorial – the St. Barbe monument. Also, the little chapels around the building provide lovely places for a bit of quiet and contemplation – some are labelled as such. 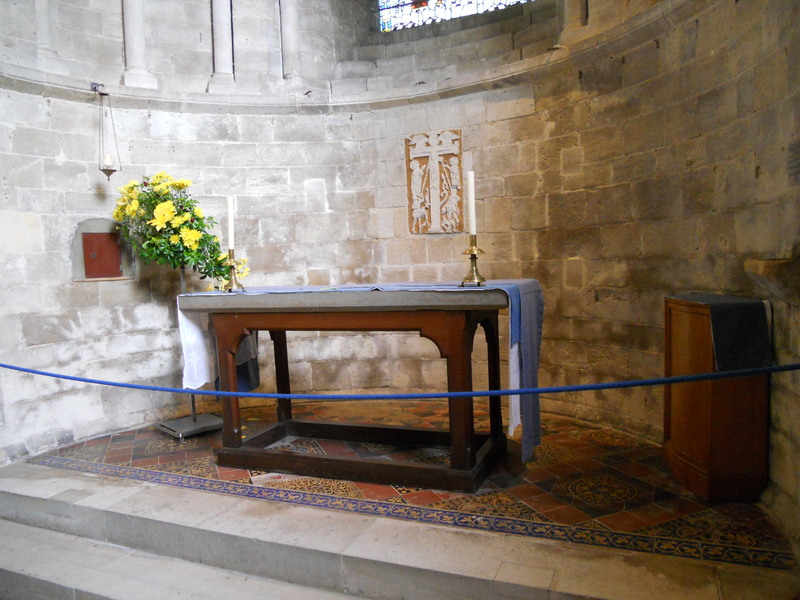 Here is a picture of St. Mary’s Chapel which is stunningly simple yet very moving. 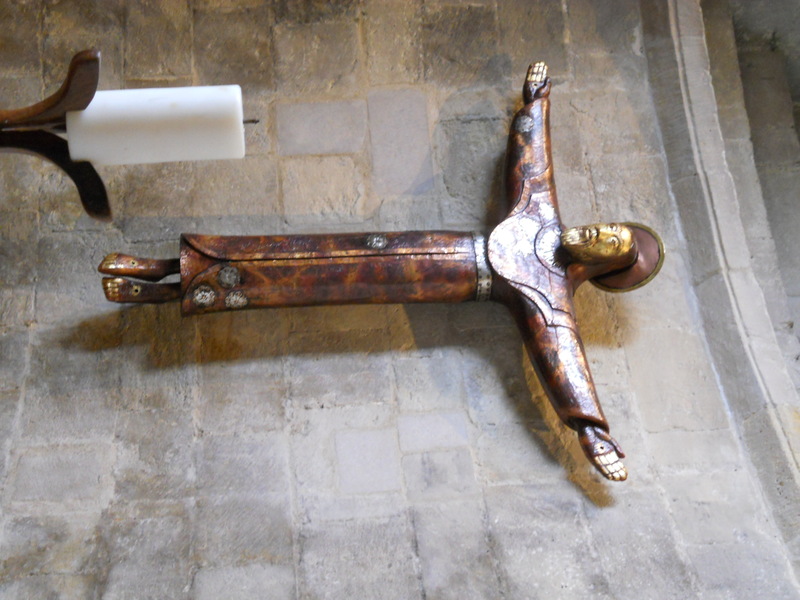 In the St. George’s Chapel hangs a sculpture, ‘Christus Rex’ by Peter Eugene Ball. This dates from 2013. 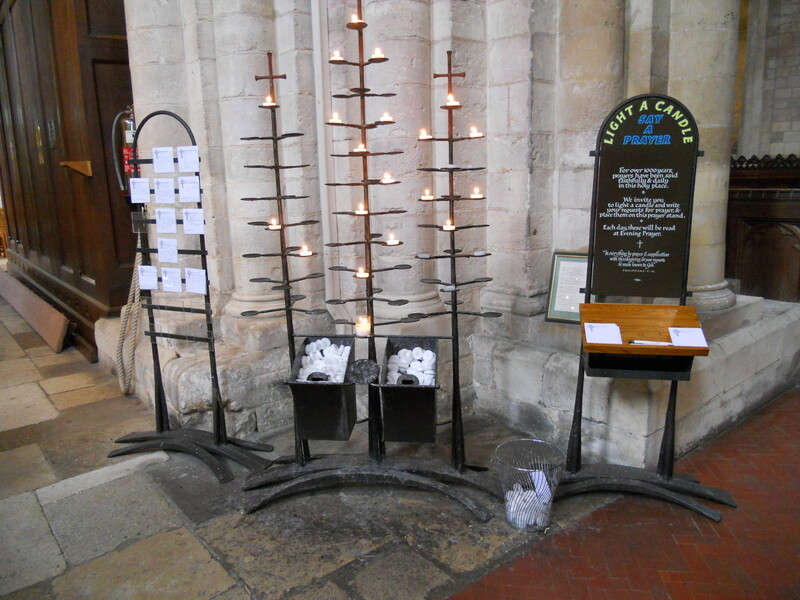 There is a good votive stand as well as a prayer stand – modern and beautiful pieces. 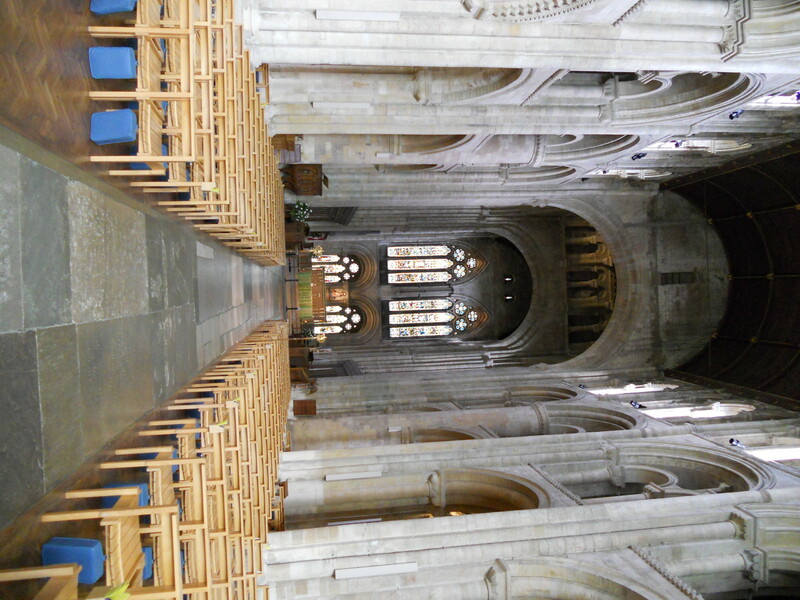 The church website is at http://www.romseyabbey.org.uk and features a 360 degree virtual tour as well as a page on visiting. This serves as a good model for other churches. All in all I rate the Abbey as excellent for visitors but don’t just take my word for it, go and have a look!